I’m much more of a goofy Halloween celebrator than a scary Halloween celebrator. 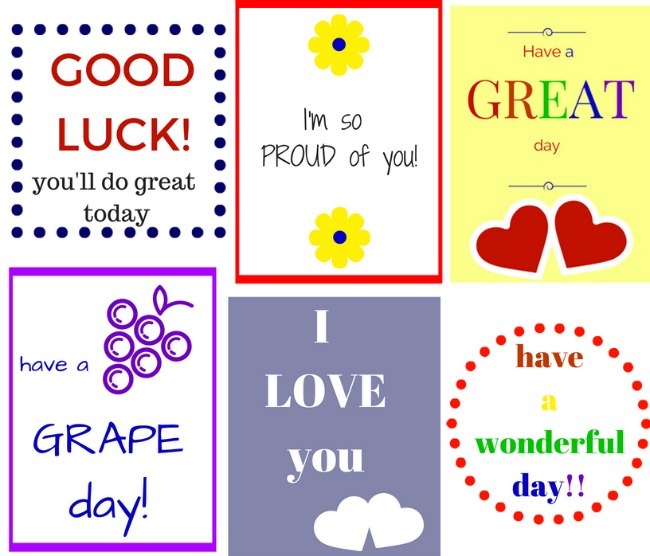 So these just made me happy. 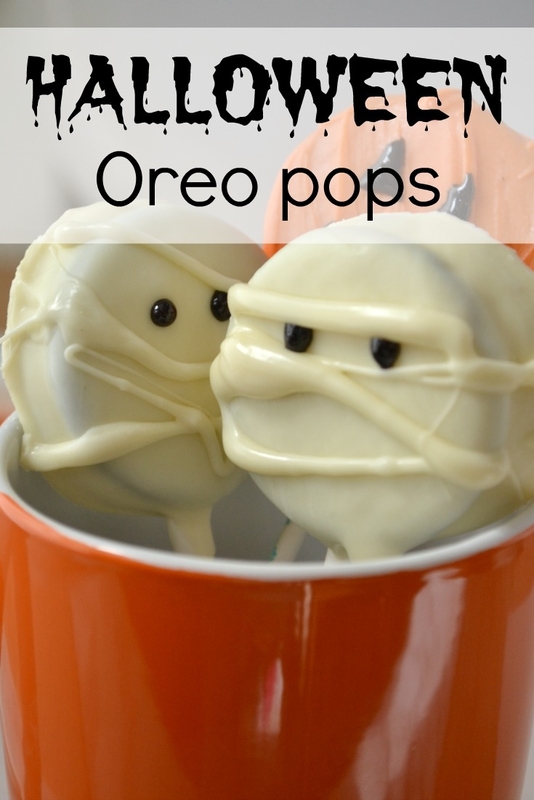 They’d be perfect for a school party, or a fun treat after school one day, or for a kid who has a birthday in October. I just think they’re so cute! 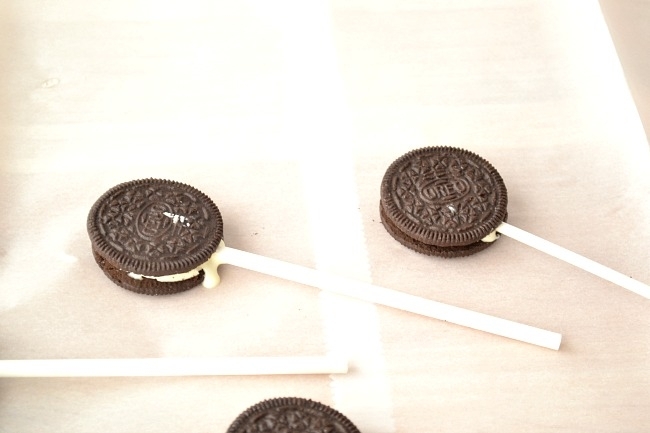 And unlike cake pops, Oreo pops require no baking or mixing or anything. Super simple. The trickiest part is getting the pop stick lodged in between the two halves of the cookie, but after a few practice tries, you get the hang of it. Microwave the white chocolate chips, 20 seconds at a time, until they’re melted and the mixture is smooth when you stir it. Remove one half of each Oreo cookie. Make an indentation in the creme filling with the cake pop stick. Dip the end of the stick in white chocolate and lay it in the middle of the cookie. Put the top back on and let cookies harden. Meanwhile, divide the melted white chocolate mixture. Some will stay white, to be used for the mummies, and the rest you can color with orange food coloring to make the pumpkins. 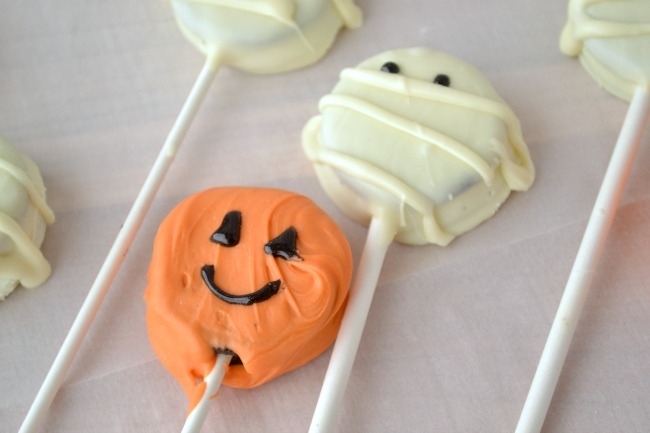 Set aside 2 Tb of white melted chocolate to drizzle on the mummies at the end. When the chocolate in the cookies has hardened, and they’re attached to the cake pop sticks, dip the cookies in either the white or orange melted chocolate (you may have to microwave it once or twice more, 20 seconds at a time, to re-melt it). Let harden. Take the 2Tb of white chocolate you set aside. Melt it, spoon it into a plastic sandwich baggie and squeeze it into one corner of the bag. Cut the corner off, and squeeze the melted chocolate out of the hole so that it drizzles onto the cookies. Zig zag back and forth across the white cookies to make the wrappings for the mummies. When the cookies have hardened, trim off any extra chocolate with kitchen scissors or a small knife. Add the mummy eyes and pumpkin triangle eyes and mouth with black decorating gel and let the gel set. 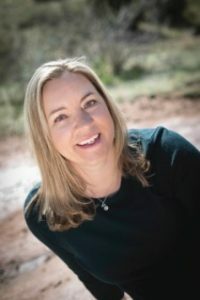 This post was originally written for BabyCenter. It is republished here with permission.